BOCA RATON – Newcomer Diamond Johnson’s single to right with two out and runs on second and third in the bottom of the ninth propelled FAU to a 3-2 walk-off win over George Washington, giving the Owls a sweep of the season-opening series. But a hero he was. The Owls’ No. 9 hitter, Johnson picked a good time to extend his hitting streak to three games. He drove in Eric Rivera with the tying run and pinch runner Richie Nizza with the game winner. The Owls dugout emptied as players and coaches raced to celebrate with Johnson between first and second base. “We were fortunate enough to get out of here with a win,” McCormack said. FAU trailed for the first time this season when Vince Coletti gave up a home run to Isaiah Pasteur on the first pitch of the ball game. The Colonials scored their second run of the game in the fourth inning on a single to center field by Robbie Metz. Coletti got himself out a fourth inning jam, leaving the bases loaded by forcing a ground out to third. Coletti grew more comfortable as the game progressed, tossing scoreless fifth and sixth innings before being removed for a reliever. Trailing 2-0, Andru Summerall’s sacrifice fly in the seventh opened the scoring for FAU. Moving Forward: Drew Peden threw three perfect innings of relief to earn the win. …The Owls pitching staff started 2018 by only allowing three runs through three games. …The Owls defense only made one error compared to George Washington’s six throughout the series. 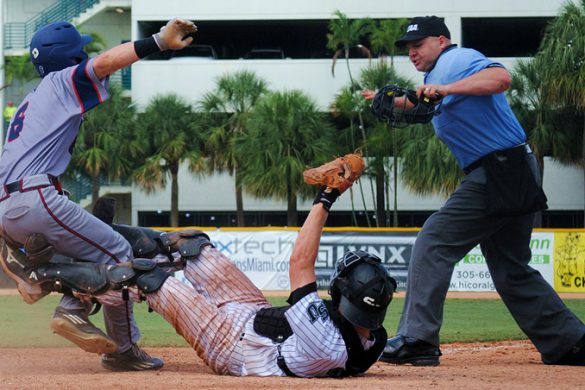 Sliding Backward: Tyler Frank struggled through the George Washington series going 1 for 10 and committing an error. 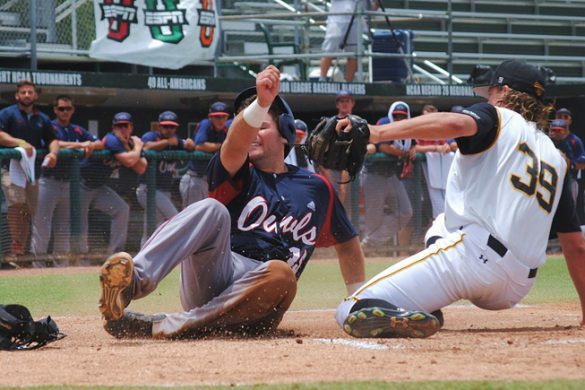 …The Owls left six men on base on Sunday and 25 in the series. Key Stat: 14. The Owls walked 14 times throughout the series. Up Next: FAU heads to Gainesville on Tuesday at 6pm to play the Gators. 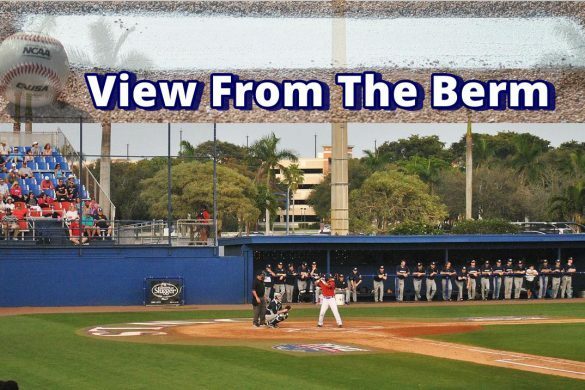 BOCA RATON – Kyle Marman followed Jake Miednik’s shutdown opening night performance with a gem of his own, pitching FAU to a 6-1 victory over George Washington. The junior righty only allowed four hits, all of the infield variety, while striking out seven in six innings of work. Marman threw 57 of his 79 pitches for strikes and earned the win. “Marman was really good – set the tone,” McCormack said. Eric Rivera started the scoring for FAU in the second with a single that drove in Cody Wilson, who received a double on a misplayed fly ball. Leading 2-0, the Owls broke the game open in the sixth, taking advantage of four walks and three hits to score four runs. Diamond Johnson’s two-run single under diving third baseman Trevor Kuncl proved to be the big hit in the inning. The Owls’ bid for a second consecutive shutout to open the season ended with one out in the ninth on the Colonials sixth infield hit of the night, a bases-loaded chopper to shortstop Tyler Frank, who fielded the ball cleanly but had no play. Moving Forward: Second baseman Eric Rivera went 2 for 2 with an RBI, a run scored and two walks. …Slowed in the preseason by arm trouble, Mark Nowatnick made his first appearance of the season a flawless one, needing only six pitches to retire the side in order in the sixth. …Diamond Johnson enjoyed a two-hit afternoon for the Owls. Sliding Backward: Tyler Frank isn’t having the kind of start to the season he hoped for. After five hitless at bats on Saturday, Frank is 0-for-7 on the season. He also dropped a Pedro Pages throw on a steal attempt that, if caught, would have been an easy out. “He’s trying to do everything at one at-bat,” McCormack said. 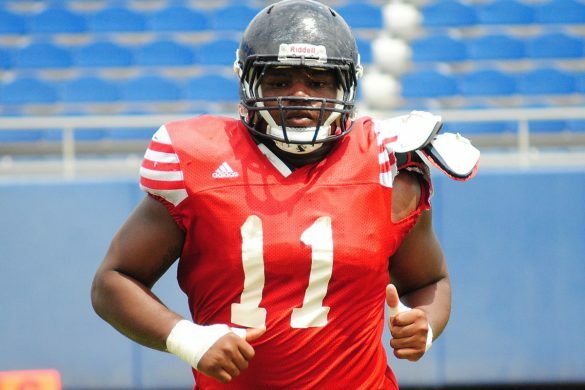 “He’s just got to relax.” …Matt Harris had a rough first appearance as an Owl. He struggled to locate his pitches, surrendering two hits and a walk. …Catcher Pedro Pages left six runners on base. 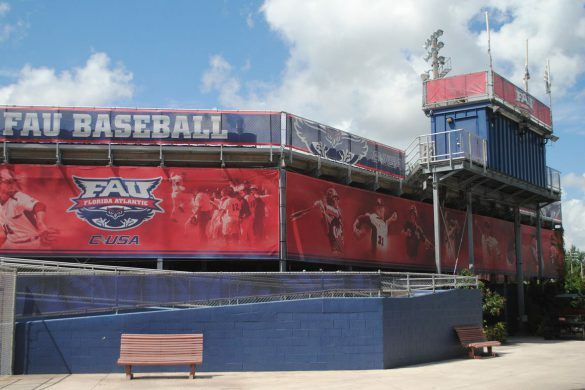 Up Next: FAU goes for the season-opening sweep of George Washington on Sunday. First pitch is scheduled for noon. 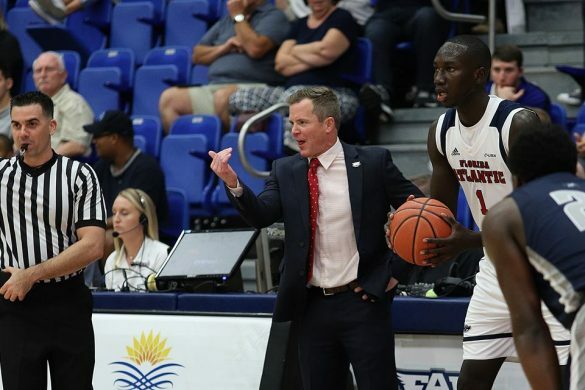 BOCA RATON – Gerdarius Troutman’s fast-break three-pointer with 45 seconds remaining gave FAU a lead it wouldn’t relinquish in a 77-72 victory over FIU. Trailing 70-69, Payton Hulsey grabbed a long rebound and pushed it up the court before finding Troutman on the left wing. Troutman caught the pass and launched, without the aid of a dribble, a high arching shot that found the bottom of the net. 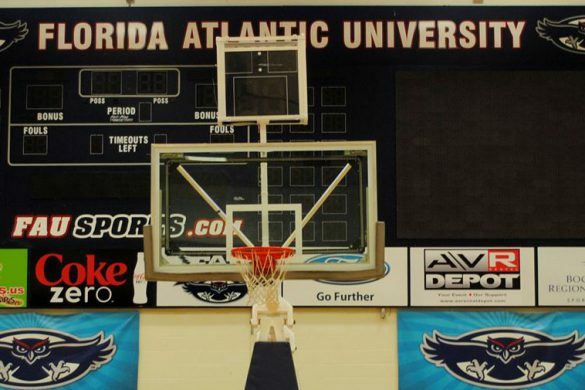 The victory snaps a four game FAU losing streak. During that run the Owls consistently failed to perform in the closing minutes of games. For a moment on Saturday that looked like it could happen again. Ronald Delph’s dunk gave FAU a 56-51 lead midway through the second half. Following a timeout, FIU scored the next six points to retake the lead. Neither team led by more than two points until two free throws by Delph put the Owls up by four with 23 seconds remaining. FAU drained five of six free throws in the final minutes. Delph led all scorers with 18 points despite playing with four fouls for the final nine minutes. The victory avenged a one-possession loss to FIU in January and pulled the Owls even with the Panthers for 10th place in C-USA play. It also allowed the Owls to surpass last season’s win total of 11. Moving Forward: Justin Massey found his shooting range again. His 18-point night included 4-of-9 shooting from behind the arc. …Ten of Gerdarius Troutman’s 15 points came in the second half. …Payton Hulsey recorded eight assists. Moving Backward: Guard Anthony Adger didn’t score during his 12 minutes, missing all three of his shots. 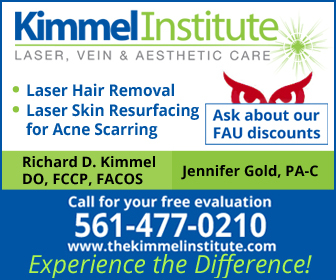 …FIU out-rebounded FAU 37-31. 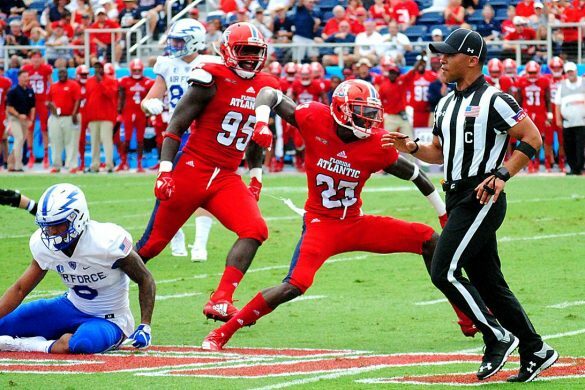 Key Stat: 70+ – points for FAU on Saturday. The Owls have yet to lose this season when scoring at least 70 points. 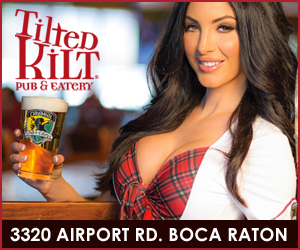 Up Next: Rice comes to Boca Raton on Thursday. 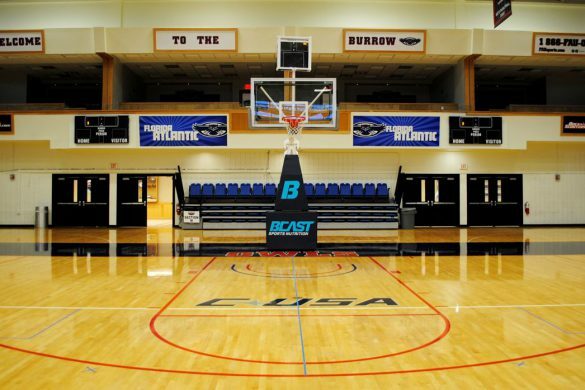 Tip-off at The Burrow is scheduled for 7 p.m. victory could potentially secure a spot for FAU in the C-USA tournament. 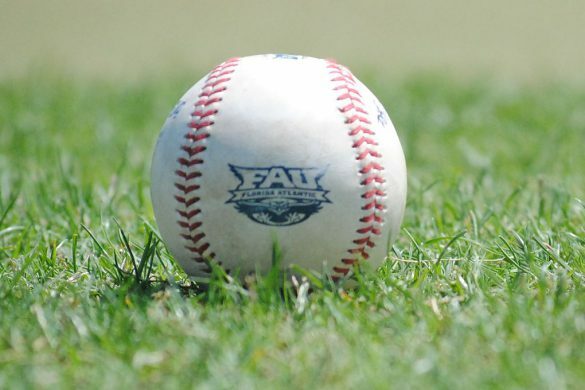 BOCA RATON – Senior Jake Miednik dominated in six scoreless innings to lead FAU to a season-opening 3-0 win over over George Washington on Friday. In six innings Miednik allowed only one hit while striking out seven and walking two. He threw 61 of his 81 pitches for strikes. “When he gets on his groove, he’s one of the best pitchers out here,” catcher Pedro Pages said. Miednik’s start came two days after gunman Nikolas Cruz opened fire at his former high school, Paarkland-Marjorie Stoneman Douglas, killing 17 on Wednesday. Bats were cold on opening day, with the Owls and Colonials combining for only six hits with Dominic D’Alessandro of George Washington leading the game with two hits. Miednik, Blake Sanderson and Zach Schneider combined on a two-hitter for the Owls. A Pedro Pages’ two-run double in the third inning gave FAU a lead it wouldn’t relinquish. “We did enough offensively,” Coach John McCormack said. Moving Forward: Blake Sanderson didn’t allow a run and only surrendered one hit in two innings of relief. 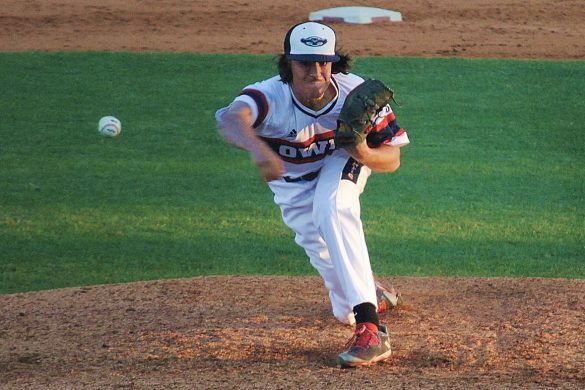 …Sidewinder Zach Schneider threw a perfect ninth inning to record his first save as an Owl. 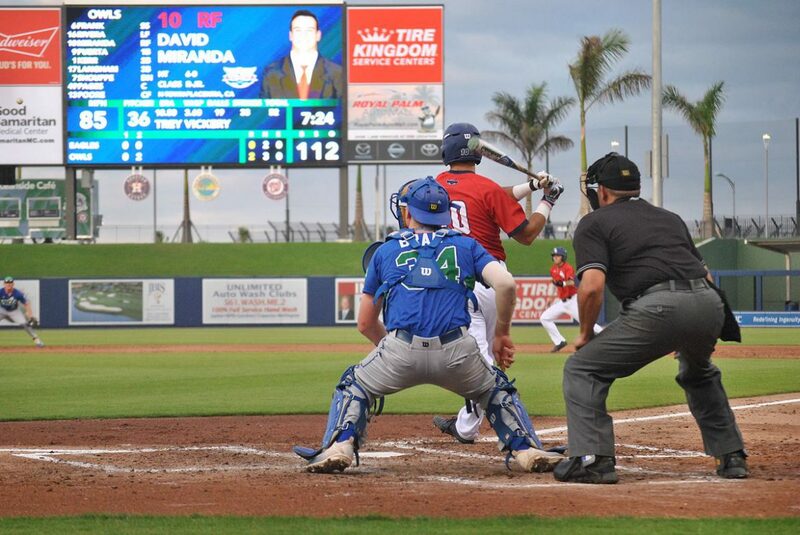 …Right fielder David Miranda had one of FAU’s four hits and drew a walk. …Left fieder Diamond Johnson recorded his first hit as an Owl and made a terrific running catch in the ninth. Sliding Backward: Moving from catcher to first base, Gunnar Lambert struggled at the plate going 0-4 with two strikeouts. …DH Kevin Abraham the DH, went 0-3. …FAU left nine runners on base. Key Stat: 80.8 percent of their pitches that FAU threw for strikes in the season opener. Up Next: FAU and GW play the middle game of their series on Saturday. 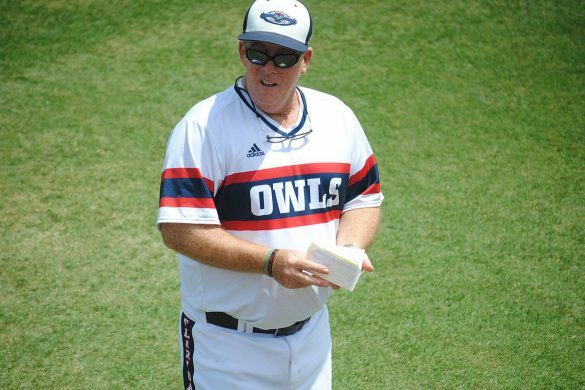 First pitch is scheduled for 4 p.m.
BOCA RATON — FAU coach Michael Curry hopes a new rotation shakeup will end the Owls’ four game skid and bring a balance between a rugged defensive identity and being productive offensively. Curry said while there will be no changes coming to the starting lineup, he plans on expanding reserve guard Devorious Brown’s role in hopes of expediting the Owls’ offensive tempo. Brown logged 20 minutes over the Owls’ last five games – including two DNP’s – and attempted only one field goal. 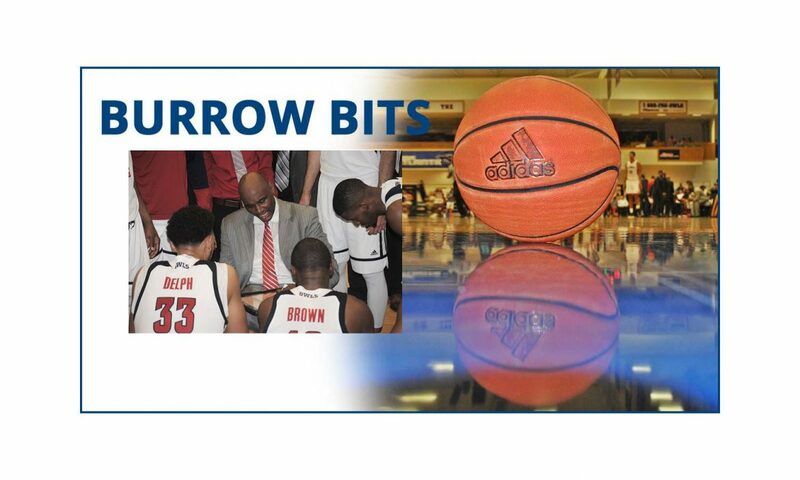 Brown’s coach is now entrusting the seldom-played guard with shifting the momentum of Conference-USA’s worst scoring offense.. 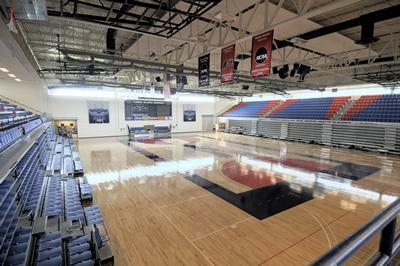 Prior to the season Curry hoped the Owls would play feature an uptempo offensive, but the Owls quickly changed course to a more deliberate pace. Brown is shooting 36 percent from the field and missed all five of his three point attempts over his 18 appearances for the Owls this season. Curry acknowledged that the Owls’ slow pace needs to be fixed, but maintained that having a low-post scoring threat in Ronald Delph forces him to slow the game down. Curry said his team’s hard-nosed defensive mentality and relentless rebounding effort translates to postseason success, but admitted the Owls must be more productive offensively to advance in the tournament. “Rebounding defense is the only way you could ever win the tournament,” Curry said. “It hasn’t been the leading scoring team to win the conference tournament “ Curry said. Coming into a three-game homestretch, Curry played down his team’s recent home misfortunes; attributing the Owls’ 1-5 home record in conference play to the strength of opponents and missed offensive opportunities. “We’ve been able to come up with critical stops throughout but we haven’t made enough critical shots – and when we have we’ve won.” Curry said. Curry said his team will bring the same winning mentality they play with on the road back to The Burrow for Saturday’s game against FIU. The Owls lost to the Panthers in the closing seconds earlier this season. “For our season it’s important that we take care of these [home] games and that we bottle up the performances we’ve had on the road because we’ve been really good on the road all season.” Curry said. 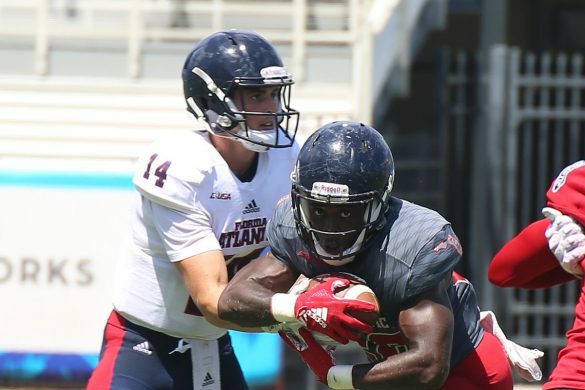 FAU didn’t play a Thursday game this week, giving the Owls a week to prepare for FIU. The Owls extended time between games should help prepare the team mentally and physically for the road ahead. The Owls were able to spend double the amount of time watch filming film this week and added an extra weightlifting session. “Winning that game Saturday gives us three out of the last four match-ups against [FIU] so it’s important to continue to move up in that rivalry match-up,” Curry said. Senior center Ronald Delph has been on a tear all season, most recently notching his seventh double-double of the season in a loss at Marshall. “Watching his growth from the time he stepped on this campus to now as a coaching staff we’re excited, and more so for Ronald and the seniors especially we would love for them to finish on a strong note – hopefully we could put them in a position to do that,” Curry said. 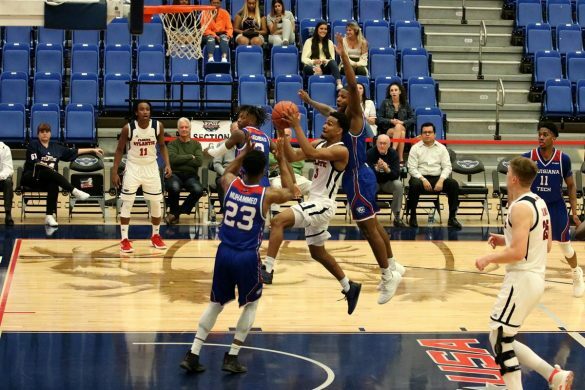 Along with the insertion of Brown in to the playing rotation, the Owls will look for more production out of Anthony Adger, Jailyn Ingram, and Simeon Lepichev. “We think Anthony Adger could score more for us… we think Jailyn Ingram and Sim could both score for us as well.” Curry said. The trio has shot 14-44 over the last three games. 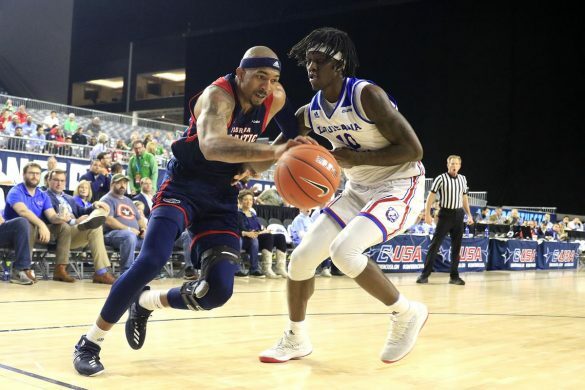 FAU has struggled with turnovers all season; ranking second to last in both assists and assist-to-turnover ratio in conference play, but Curry placed the blame on missed shots rather than the team’s ball movement. “Our turnovers, I think a big part is we’re not scoring – all those things are tied together: low three-point percentage, low field goal percentage, low scoring, and assist-to-turnover ratio” Curry said. 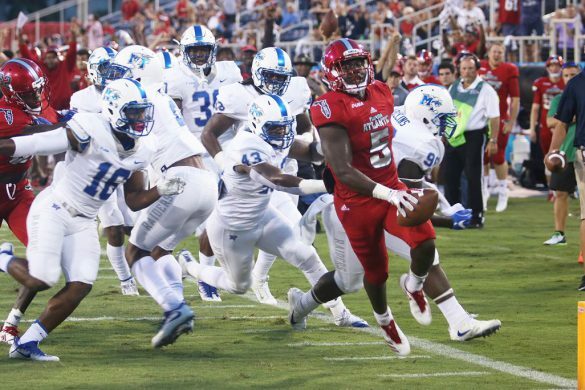 Around C-USA: Middle Tennessee is riding an eight-game winning streak to first place in C-USA at 13-1, Old Dominion and Western Kentucky are tied second at 11-2 in conference play. 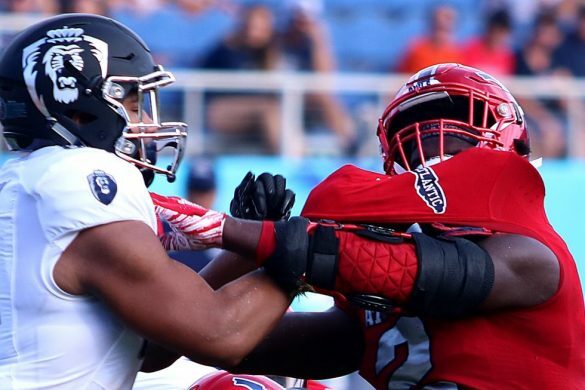 ODU’s only two losses in its last 16 games came against MTSU and WKU. FAU sits at 11th in the conference at 4-9. Working Women: The Lady Owls are on a five-game losing streak, with three of those losses coming by double digits. Sasha Cedeño passed Breanna Turner in career points Wednesday, becoming the eight leading scorer in school history. Coach Jim Jabir’s team returns to action at FIU on Saturday. Game of the Week: Easy choice this week as there is only one game. 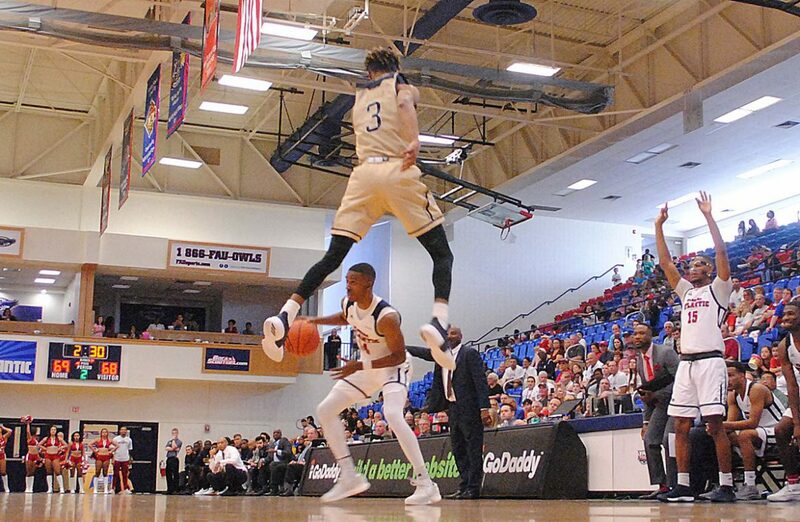 FAU takes on rival FIU at home in a Saturday afternoon match-up, Tip off set for 2:00 p.m.
BOCA RATON – The statistics from Pedro Pages freshman season don’t exactly scream “star in the making.” His play over the past six months, however, does exactly that. Even with former starter Kevin Abraham returning for his final season, Pages will do the bulk of the catching for the Owls this season. 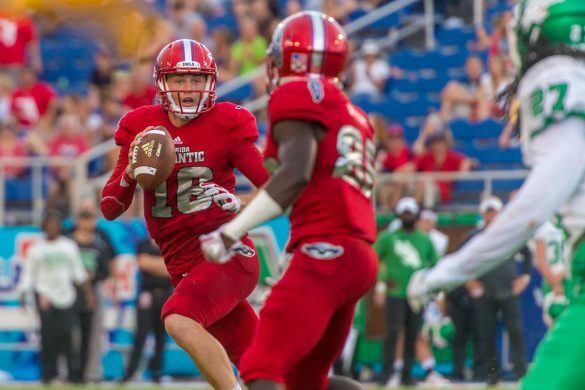 “He is on the precipice of being a star,” FAU coach John McCormack said. 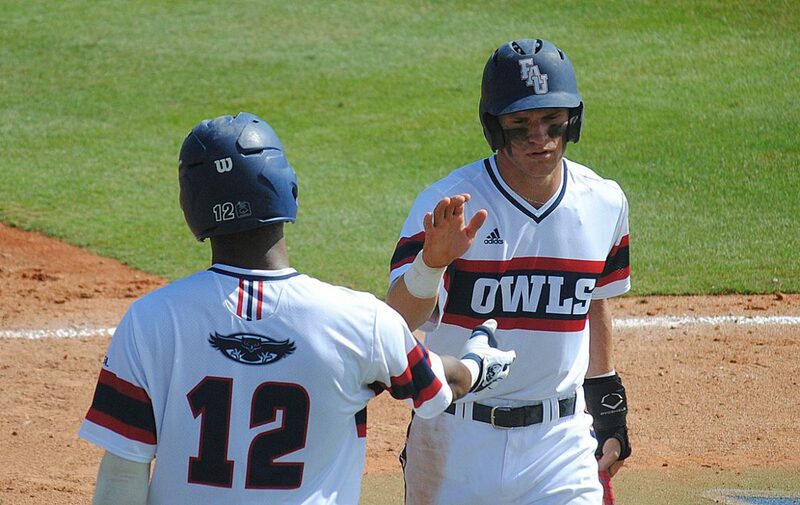 Pages started about half the Owls games last season, hitting .243 with four homers and driving in 24 on the year. Since the Owls began fall ball baseball, and carrying over into the preseason, the right-handed hitting Pages improved his plate discipline, allowing him to find his groove. “His bat is insane right now,” said pitcher Jake Miednik, who will get the ball when the Owls open the season on Friday against George Washington. It’s behind the plate, however, where Pages truly impresses. Pages threw out eight potential base stealers last season. 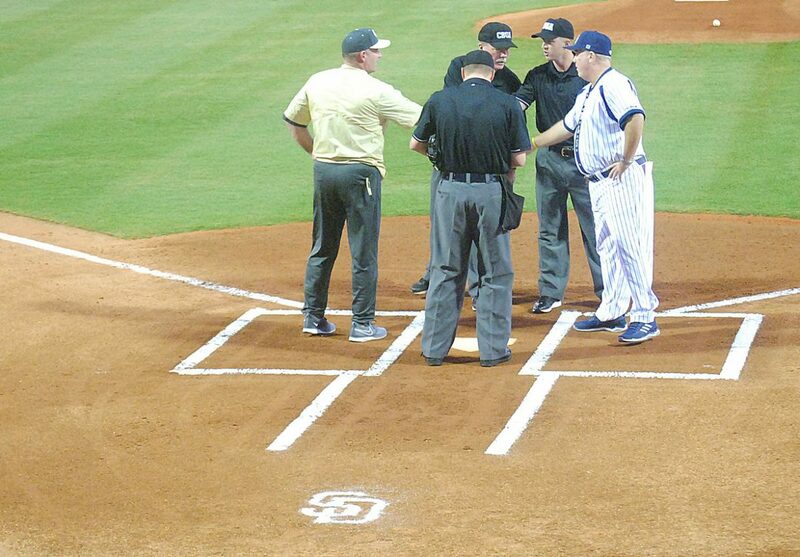 “You don’t see guys that throw like that behind the plate that are amateur baseball,” McCormack said. Tyler Frank, SS, Jr. – Expectations are high for Frank. 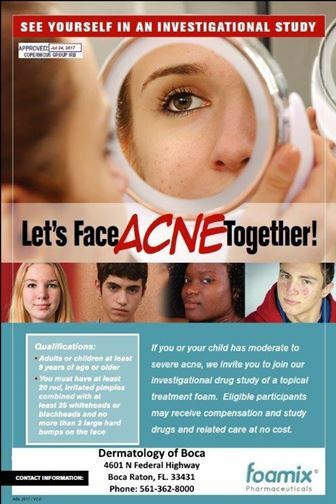 Why wouldn’t they be? One of the best hitters in program history, Frank hit .336 with 11 homers last season. Spent part of the offseason playing with Team USA. 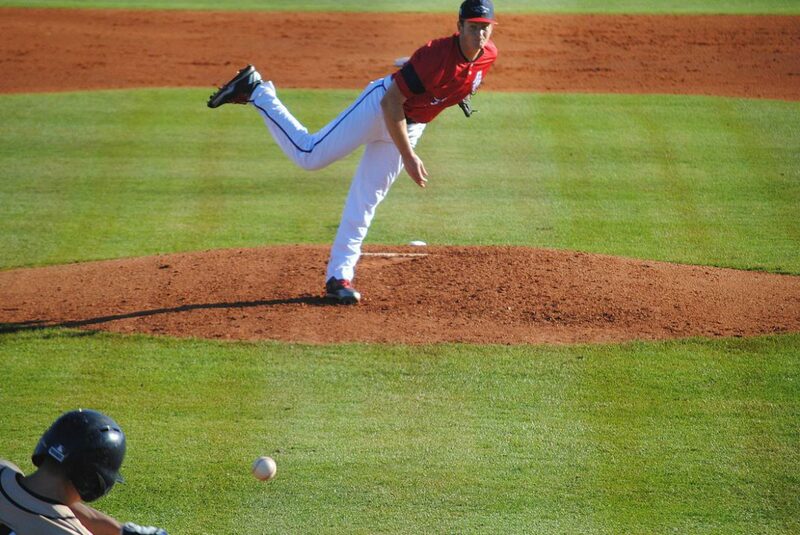 Jake Miednik, LHP, Sr. – Led the Owls with seven victories last season, which tied for fourth most in Conference USA. 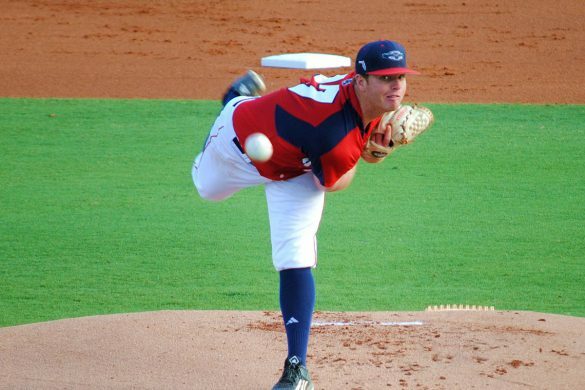 Will begin the season atop FAU’s pitching rotation as the Owls’ Friday starter. Kyle Marman, RHP, Jr. – Lost nearly 25 pounds in the past six months, which allowed him to get better control of his pitches. The Owls’ Saturday starter challenged Miednik for the Friday night role. Expects to pitch deeper into games this season. David Miranda, RF, Sr. – Led the Owls with 12 home runs last season. Spent the offseason working on drills designed to improve his speed. 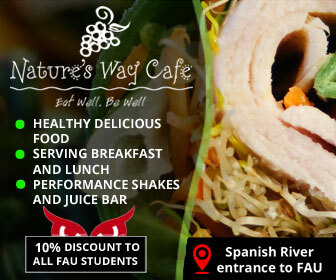 One of FAU’s inspiration leaders. Cody Wilson, CF, R-So. – McCormack thinks Wilson may be the best athlete ever to play for the Owls. Terrific defender who hit .323 at Palm Beach State last season. Diamond Johnson, LF, Jr. – Speed demon was drafted by the Chicago Cubs out of high school but turned them down. 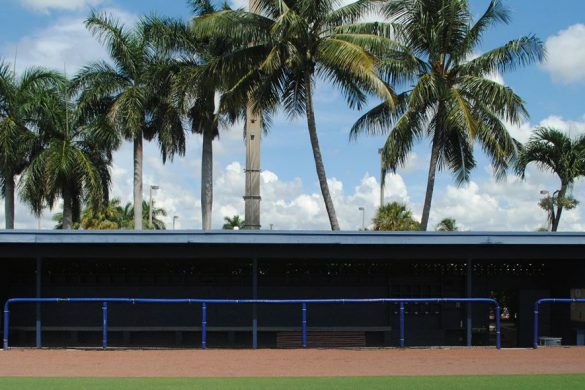 Elected to play at St. Petersburg College, where he stole 60 bases over two seasons. 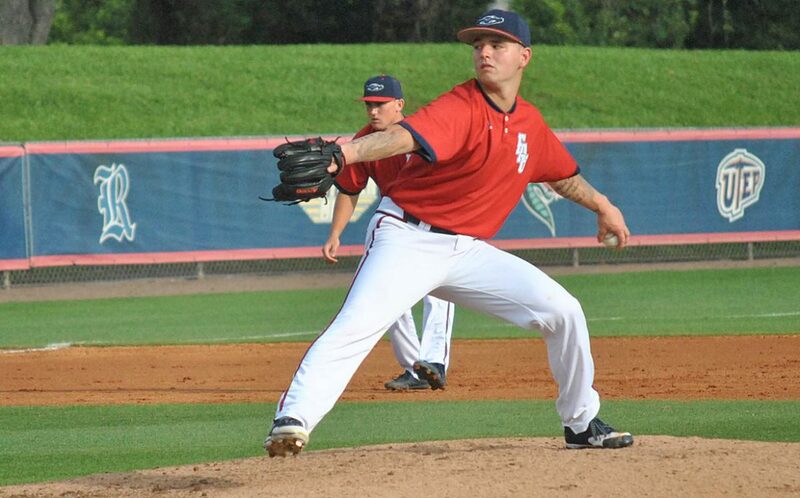 Vince Coletti, RHP, Jr. – Posted an 8-3 record in two seasons at Palm Beach State, including a 5-0 record last season. Will begin the season as the Owls’ Sunday starter. 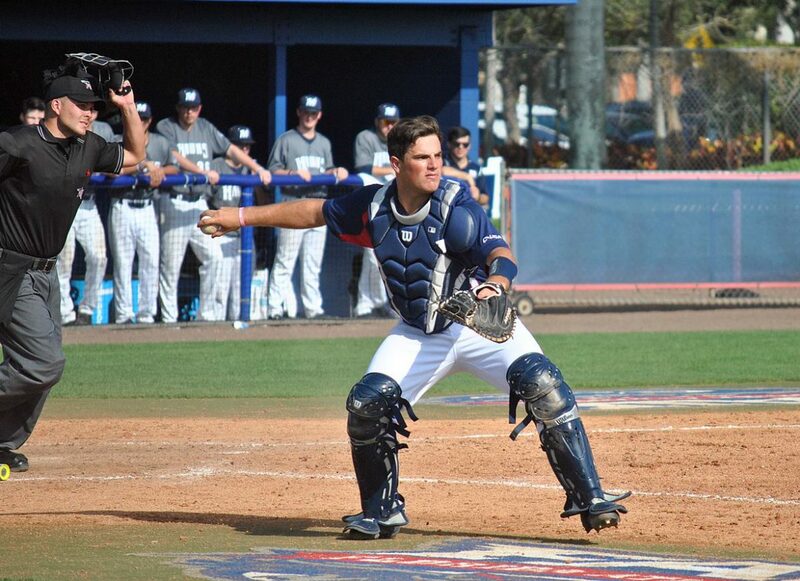 Zach Schneider, RHP, Jr. – Will get the first chance to save games for FAU. Recorded 11 saves for Polk St. College last season. Eric Rivera played the outfield last season but he’ll start the season at second base for the Owls. 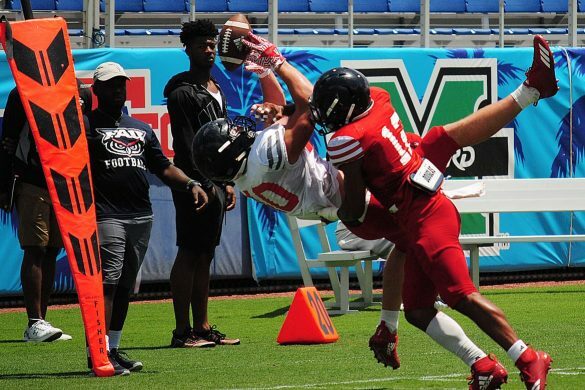 That’s a surprise, considering most of the spring it appeared as though either JUCO transfer Richie Nizza or true freshman Mariano Ricciardi were in line for the job. The Owls are trying to fill the spot vacated by Stephen Kerr. 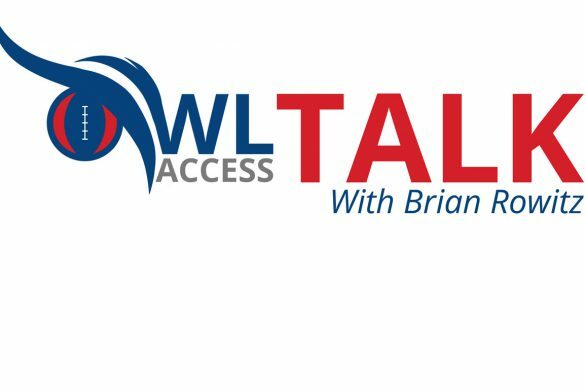 BOCA RATON – Defensive coordinator Chris Kiffin is leaving FAU to join the San Francisco 49ers coaching staff, OwlAccess.com has confirmed. In his lone year in charge of the Owls’ defense, Kiffin engineered an impressive turnaround, helping lead a team that recorded three consecutive 3-9 seasons into an 11-3 powerhouse, a Conference USA champion and a Boca Raton Bowl victor. 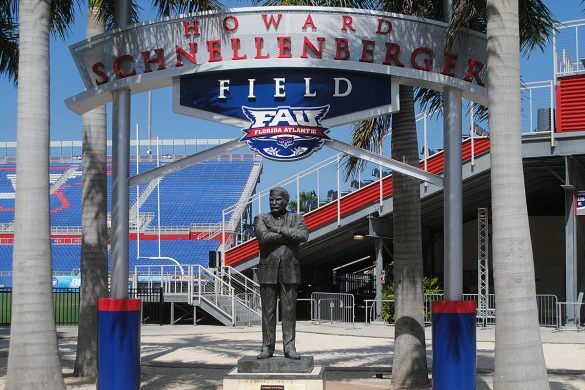 The 22.7 points per game allowed by FAU in 2017 ranked No. 34 nationally, while the 389.6 yards they surrendered per game landed them at No. 63 nationally. The brother of head coach Lane Kiffin, Chris came to the Owls after serving as the defensive line coach Mississippi. As part of the sanctions the imposed late last year on Ole Miss for various violations, the NCAA slapped a Show Cause order on any program wishing to hire Kiffin. With Kiffin departing, the Owls will be without their two coordinators from last season. Offensive coordinator Kendal Briles jumped to Houston following the season. 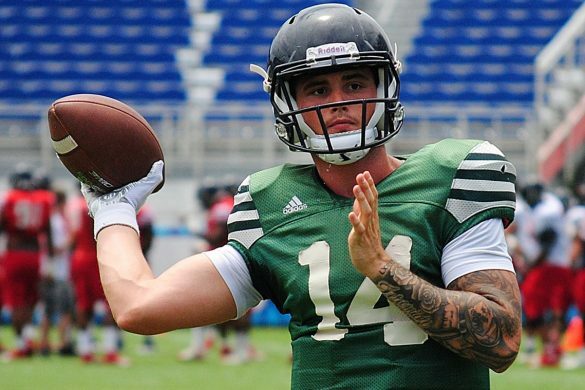 FAU hired Charlie Weis, 24, to replace Briles. Weis spent the previous season on the Atlanta Falcons’ staff. The Owls also lost defensive backs coach Cory Batoon, who became the defensive coordinator at Hawaii. 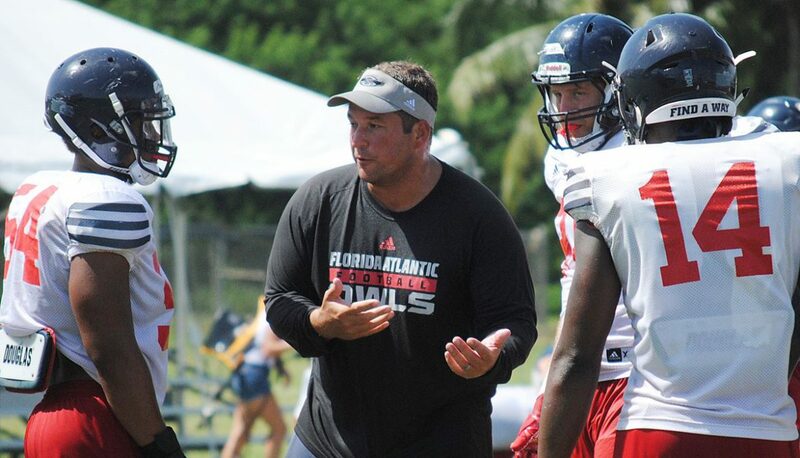 The relative late departure of Kiffin, who also coached the linebackers, doesn’t leave much time for FAU coach Lane Kiffin, Chris’ brother, to find a replacement prior to the March 20 start of spring practice. An internal option would be promoting defensive line coach and recruiting coordinator Eric Mathies. Lane Kiffin has previously stated a belief that Mathies will one day be a head coach, but Mathies has never served as a defensive coordinator at the collegiate level. 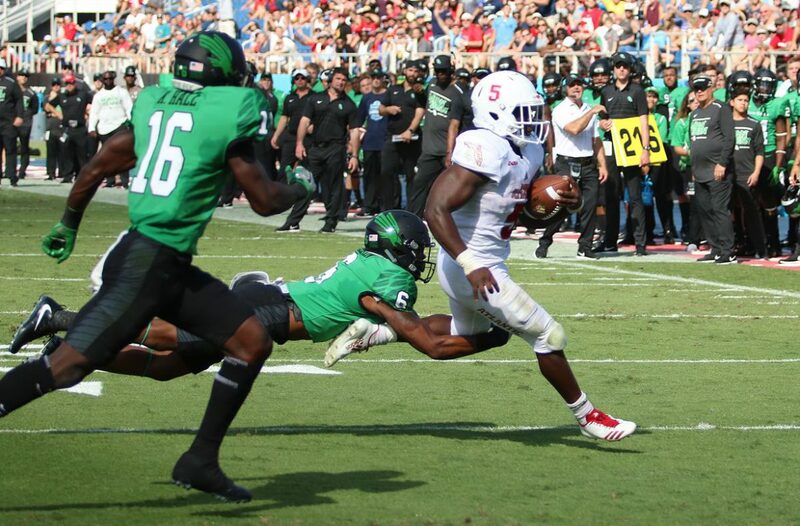 Lane can also rely on Monte Kiffin, his father and founder of the fame Tampa Two defense, for help in either the search or preparing the Owls for spring practice. Monte served as a defensive analyst for the Owls’ last season. Monte, however, will not be the next Owls’ defensive coordinator. Right fielder David Miranda returns for his senior season hoping to show that MLB scouts missed out on him last year. BOCA RATON – Disappointment ran through David Miranda’s body as his junior year finished. Miranda expected to be drafted into professional baseball, but despite a statistically impression season that didn’t happen. A little more than six months later Miranda, 22, is more excited than ever to be back with his teammates at Florida Atlantic. “I’m kind of glad that it didn’t work out, just because I wouldn’t trade these guys for anything,” Miranda said. The Owls start their season this Friday against George Washington, after finishing off the 2017 season losing to Rice in the Conference USA Championship and missing the NCAA tournament for the first time in three seasons. “I don’t want to lose a single game,” Miranda said. Miranda wasn’t the only one surprised he went undrafted. Coach John McCormack didn’t expect to have his slugger back for another year. “We thought we were going to lose him in the draft, but we got fortunate and he came back,” McCormack said. Miranda led the Owls in 2017 with 12 home runs, 51 RBIs, and a .590 slugging percentage. “He’s definitely one of the key parts of the outfield,” relief pitcher Weston Clemente said. Throughout this offseason, Miranda has been striving to improve the aspects he felt major league teams from taking a chance on him. McCormack said that every Tuesday and Thursday morning, Miranda ran sprints and worked on agility drills before practice. As much as Miranda’s bat will help the Owls on the field, his personality provides a boost in the clubhouse. Miranda gets the locker room excited. He’s constantly talking in the dugout. While in baseball the pitchers and fielders a lot of times become separated because of the different workouts, McCormacks watches interacted with every player from every group. “Dave kind of walks seamlessly through every little room,” McCormack said. Miranda holds high expectations for the Owls, whose 35-21-1 record produced a third place finish in Conference USA last season. “We’re going all the way,” Miranda said. There’s a lot at stake for Miranda in his senior season. With the possibility of it being his last baseball season of his career, there’s pressure to power the Owls along with the pressure he puts on himself to perform. Although there is a lot that can happen this season, Miranda is excited to spend the last season of his FAU career with this group of guys.